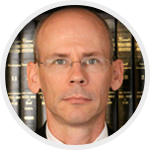 Todd W. White has been an attorney in full time, active trial practice since 1990. He began his career with the international firm of Jones, Day, in their civil litigation section. Mr. White opened his own firm in 1995, in Rockwall, Texas. During a portion of this time, Mr. White also taught as an Adjunct Professor of Government, and received his college’s highest faculty award. In addition, Mr. White has served as counsel of record in many reported appellate decisions and is admitted to practice before the United States Supreme Court. Mr. White maintains his professional education as well, and regularly attends the State Bar of Texas Advanced Family Law Course, and other relevant courses, designed to keep him abreast of important changes in the law. 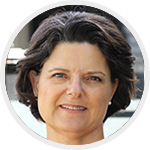 Tisa L. White is a graduate of Texas Tech University School of Law, where she was published as a student on the Law Review, and earned her Doctorate of Jurisprudence. Mrs. White practiced civil litigation and appeals with Jackson Walker L.L.P. in their Dallas office before taking time to raise her four children. During that time, she published multiple articles in the Dallas Morning News, edited three books, and was active in leadership in the community. 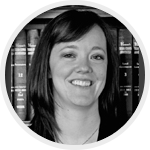 She has recently attended Continuing Legal Education Courses in guardian and attorney ad litem issues and wills and estates. She looks forward to responding to your legal issues as efficiently and economically as possible, in complete confidentiality. Todd White will represent you with the able help of his paralegal Logan Long, who holds a degree in Criminal Justice and in Paralegal Studies from Texas A&M Commerce. Logan has been with the firm since 2007.